You're occasionally hiking, camping, or fishing and sometimes there's no cell towers where you are, so you can't stay connected to the outside world. Now there's a solution to that with this Talkabout T600 H20 from Motorola. 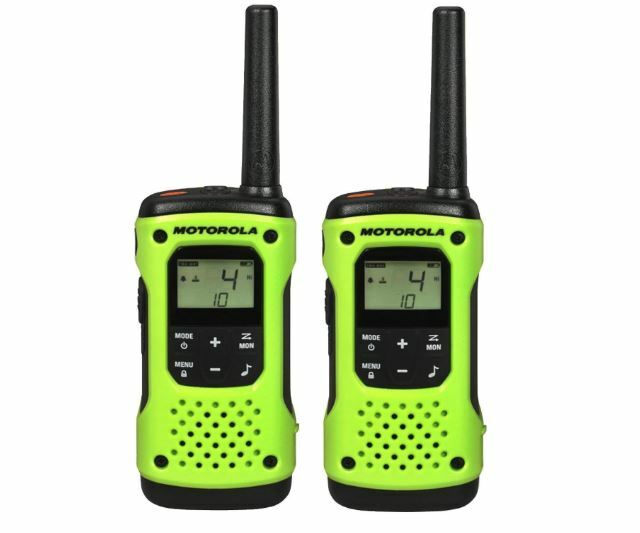 This radio is fully waterproof, rugged, and has multiple emergency features. It has up to a 35 mile range, so you'll be connected to civilization no matter where you go. A flashlight on this will activate when it's in water, so if it slips out of your hand while wading through water, you'll be able to find it easily, since it also floats. At night, it has a red LED so you won't have a problem with your night vision.